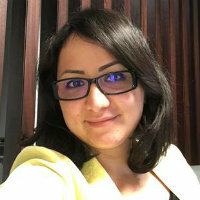 Zahra Sharifonnasabi is a PhD candidate in management (marketing) at Cass Business School, City, University of London. Sharifonnasabi, Z., Bardhi, F. and Luedicke, M. (2017). "Social Media as Global Public Sphere”. Consumer Culture Theory Conference (CCTC) 9-12 July, University of California, Anaheim, California. Sharifonnasabi, , bardhi, and luedicke, (2017). "Global Consumer Behavior: A Review of Interpretivist Studies". Winter AMA 19-21 February, Orlando, Florida, USA. Sharifonnasabi, and bardhi, (2015). "Transnational Consumers Lifestyle”. Consumption, Markets, and Culture Theorisation 8-13 June, Bilkent University, Ankara, Turkey. Sharifonnasabi, and Mehdi Sheikhzadeh, (2011). "Determining the Launch Time for New Products with Risk Considerations in a Competitive Market Situation". 40th Anniversary Conference of Academy of Marketing Science (AMS).